The big question, why pre-order? More often than not, products sell out prior to their release. This means that when they do come to general market they are already sold out. With this in mind, pre-orders help manufacturers predict how much demand there is and adapt to that. Every pre-order item has an associated estimated release date. This date can change, but most of the times are fairly accurate. Just like any product, there can be small delays (like production manufacturing), that affect final release. 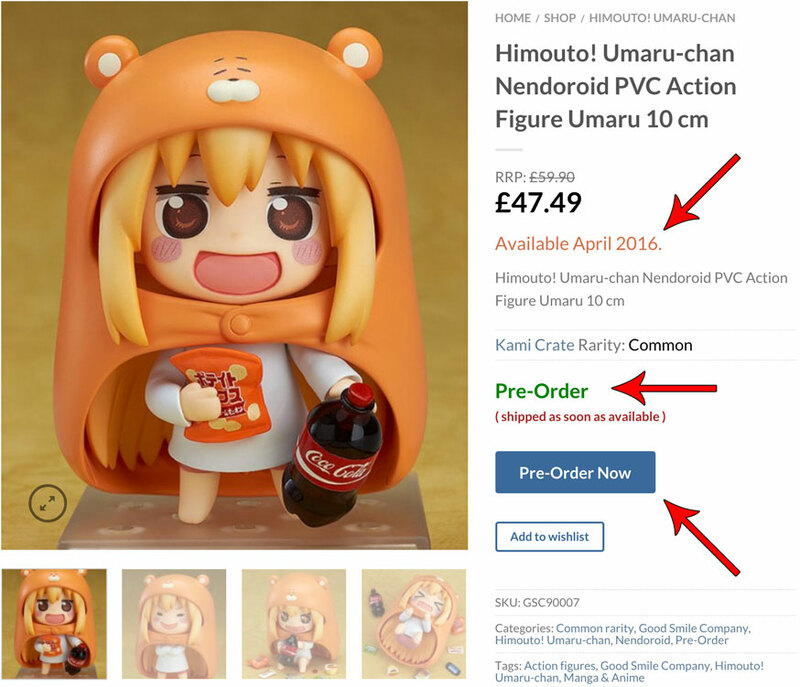 If, after purchasing your pre-order, the original date changes we will notify you via email. Pre-orders are charged immediately upon checkout. By doing this we can immediately secure your item. If you place a deposit, only 20% are payable upfront. The remaining 80% are payable once the item is released and ready to be shipped to you. We always recommend pre-ordering. It is the only way to guarantee that you will receive the product once it releases. Pre-orders can be cancelled, however, given that we already committed to purchase the item, a cancellation fee will be applied. You can find all of our pre-orders here or check some of them bellow. This entry was posted in Collectors world. Bookmark the permalink. Founded in 2015, Animegami Ltd, entered the collectibles market with the main purpose of establishing itself as one of the primary Anime, Manga and eastern Asian culture supplies retail providers.